A document released on November 27 confirms what we had previously reported about the Bureau of Land Management head of Law Enforcement Services misuse of federal vehicles. The OIG investigated allegations that a Bureau of Land Management (BLM) official was not authorized to use a Government-owned vehicle (GOV) for home-to-work commuting, traveled to his home state for personal reasons under the guise of work trips, inappropriately interfered in a hiring action to select a lesser-qualified applicant, and planned to relocate a BLM office to another state to personally benefit from the move. We found that, from July 2017 to June 2018, the BLM official used a GOV for home-to-work commuting without authorization. We did not substantiate any of the other allegations. We did not investigate the allegation that the official planned to relocate a BLM office to another state to personally benefit from a Government-funded move because this proposed move was part of a larger reorganization by the U.S. Department of the Interior. William Woody was hired by the BLM in 2003 as the first Director for the new Office of Law Enforcement and Security. 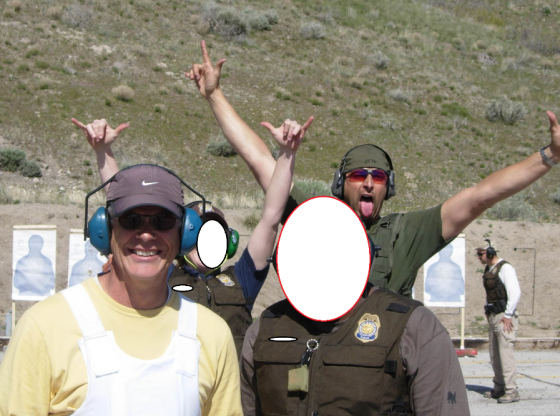 He entered the BLM after a career in the Utah Department of Natural Resources (DNR) as a game warden and internal affairs chief. His career with DNR was noted more for his ambition and willingness to do whatever necessary to get promoted, rather than as a good warden or steward of the fish and game of Utah. Woody also hired the infamous Dan Love, despite his lack of investigative experience, and his relationship as a friend and protege to Woody is the likely explanation for Love’s lack of accountability despite countless instances of abuse. Our BLM informant provided a laundry list of William Woody’s abuses power and of government resources, including efforts to shield his friend and protege, Dan Love, from the consequences of his own criminality within the agency, such as intimidation, workplace harassment, and the destruction of evidence. •Misuse of a government vehicle while working in D.C.
•Fraud in moving a major BLM Office of Law Enforcement headquarters to Salt Lake where Woody’s wife’s family lives. In a backroom compromise with Secretary Zinke upon Director Woody’s removal from the FWS, Director Woody was told he could uproot his entire staff and move it to Salt Lake City, all expenses paid by the taxpayers. •Illegally hiring a female staffer at a top federal pay grade to handle his public relations disasters. •Hiring Dan Love and promoting him following his actions related to Operation Cerberus which lead to the deaths of 3 men in the Four Corners region. •Shielding Dan Love and covering up for his insane expenditures, including $14,000 in vehicle modifications (BLM has $2,500 limit) and extravagant and illegal purchases made for Operation Cerberus. •It is reported that Woody helped Dan Love receive a medical retirement instead of being fired- which leaves the door open for Love to re-enter the agency at anytime. •Woody is known for extensive and unnecessary travel for meetings, often with with large groups, and visits to sportsman’s shows and other unofficial activities. •Despite a period of hiring freezes in government agencies, Woody continued to hire cronies at exorbitant salaries. Most people in his position get one GS-15, which is the highest pay grade available to federal employees. •Woody reportedly buys the loyalty (and silence) of his agency underlings with unwarranted promotions and fat salaries. According to our informant he is in the process of upgrading all his 60-odd investigators from GS-12’s to GS-13’s. With their special salary rate included, that’s a $17,347 raise per person. He also promoted 15 or so supervisory investigators, all earning $128,882 as GS-14’s ($19,817 raise) and two additional GS-15’s, who received a $22,718 raise, which equates to an expenditure of $1,383,511 in additional tax dollars spent each year. The OIG report admits that some of Woody’s other alleged abuses have not been investigated, and makes no recommendations to either fire or sanction Woody. It will likely be up to the Interior Secretary Ryan Zinke, and the acting BLM Director, Brian Steed, to determine Woody’s fate. Their contact information is below.